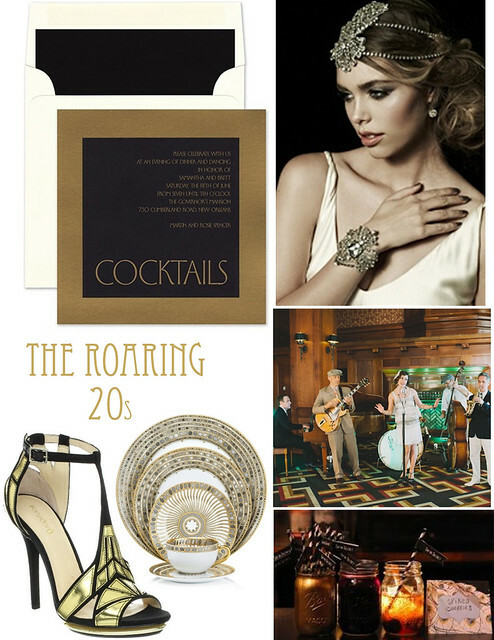 If you're planning a cocktail, bachelorette or birthday party, consider giving it a glamorous 1920s theme. Hire a jazz band, invite guests to dress in flapper fashion and decorate with gold and black art deco details for a party full of festive finery. Below is a mood board to inspire you. What accents would you add?